We need your help to get WVBS programs added into the Netflix catalog. Netflix only takes requests for new content from their paid subscribers, and there are lots of subscribers. Netflix is the most well known and popular subscription streaming site in the world with over 47 million viewers in the U.S. and 83 million worldwide. Imagine this vast viewer base being exposed to God’s word through quality, high-definition material. 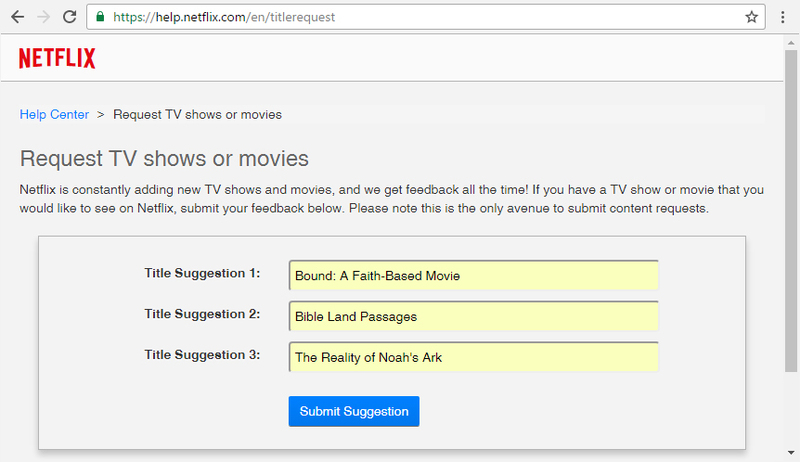 Please help us make this goal possible, by requesting WVBS titles through your Netflix account. 1. 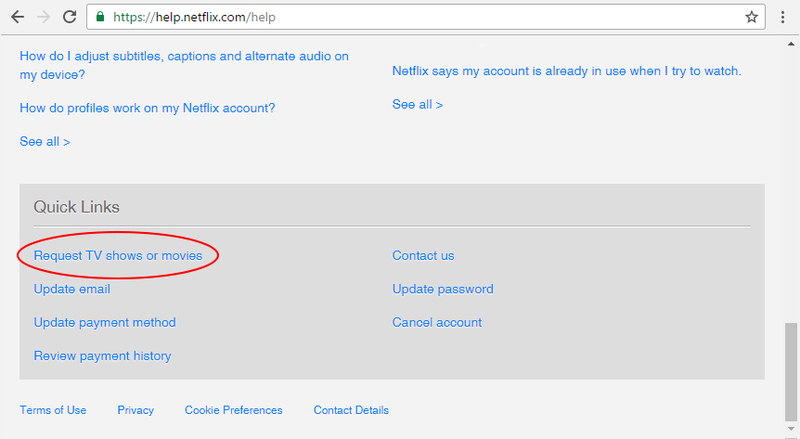 On your computer, sign into your Netflix account. 2. After logging in, scroll to the bottom of the Netflix homepage. 3. 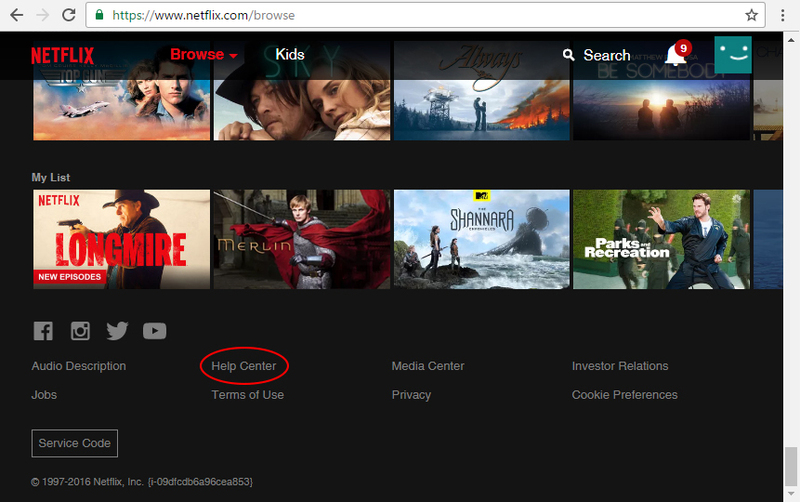 Click the “Help Center” link. 4. Find the “Quick Links” section. 5. Click the “Request TV shows or movies” link. 7. Click “Submit Suggestion” and you are done! Thank you for your Netflix request and helping promote WVBS programs to millions of people! 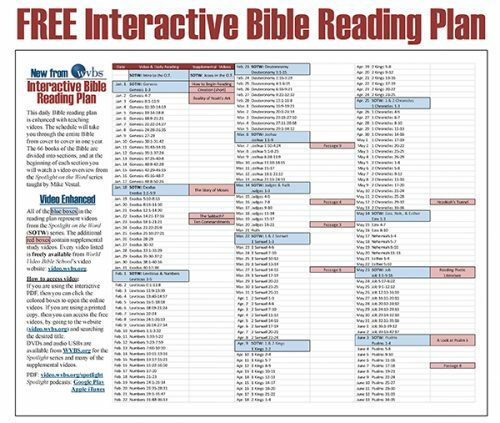 If you know someone with a Netflix account that wants to spread the gospel, please share this information with them!